If you've got plans to visit the USA as a family then there are untold ways to do just that. Fly-drives, motorhomes and escorted coach tours are all ready and waiting to help you explore this vast country in style and if you're looking to get away for a week or more then there's no point dilly dallying because right here is where you get started. Below are our top 10 America trip ideas for you and your family and if you're in any doubt as to what time in Florida, Orlando, the Deep South, the West coast, the East coast or America's national parks, will do to enliven your family's spirits then read on and prepare to get happy. 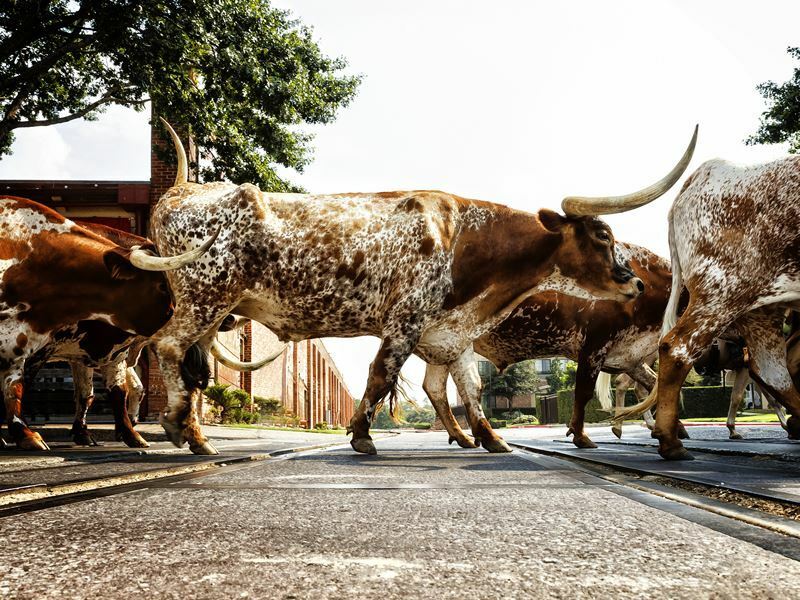 Where: Kicking off in Dallas, this trip takes you on an epic journey through the state of Texas, winding its way down to Houston for an amazing insight into the state’s cowboy charm. What: This fun-packed nine-night road trip through Texas is a wicked way to introduce the family to the exciting western lifestyle. This is your chance to experience a new way of living, not only visiting western favourites including a rodeo and cattle drive at the Fort Worth Historic Stockyards, but also exploring the beautiful Gulf Coast beaches in Corpus Christi, and giving the kids a first-hand look at astronaut training at the Houston Space Centre. Highlights: Get into the true western spirit with three nights at a real working ranch. Start your days with a typical Cowboy Breakfast of eggs, potatoes, bacon, biscuits and gravy cooked up in a skillet, before embarking on scenic horse rides through Texas Hill Country and joining in with bonfire sing-alongs. 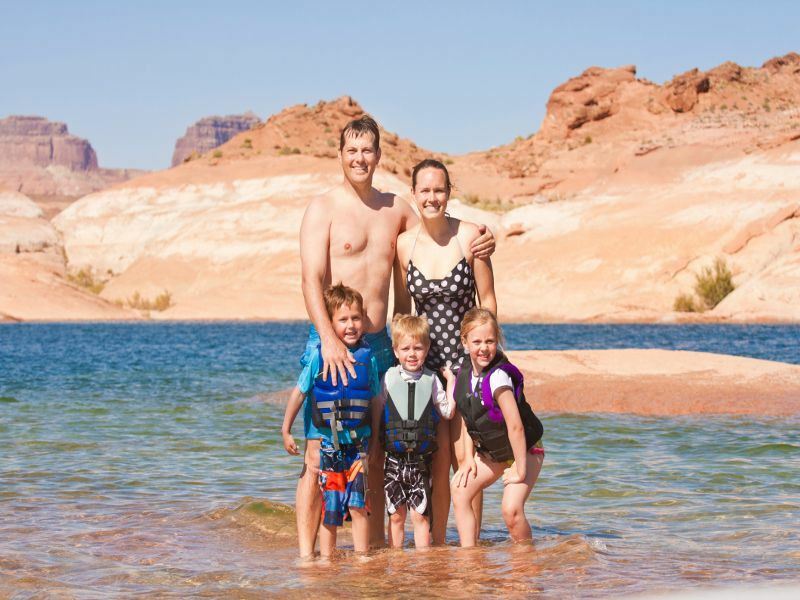 Where: Travelling from Phoenix to Las Vegas, this sensational seven-night escorted tour created for families visits Scottsdale, the Grand Canyon, Monument Valley, Lake Powell and Zion National Park – to name a few. What: Discover the old pioneering world on this epic seven-night adventure through some of America’s most breath-taking destinations. 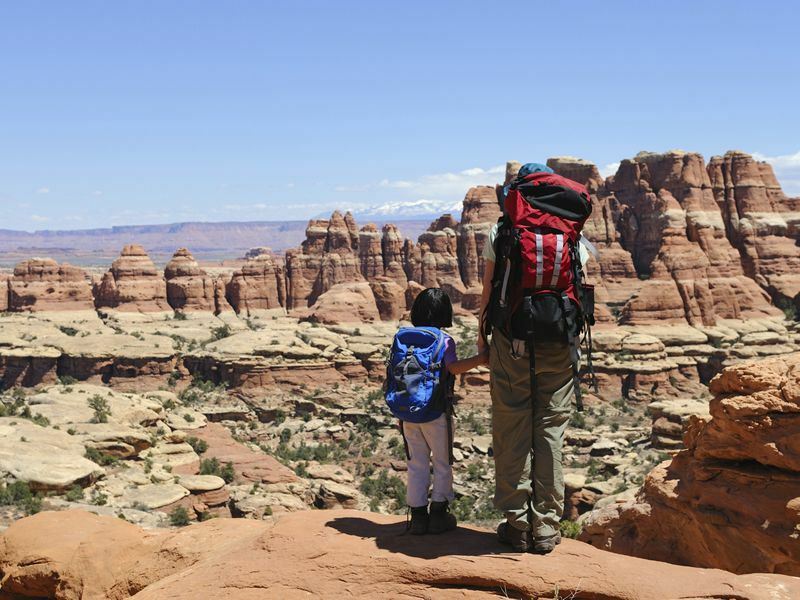 This is the perfect journey for history-buffs and nature lovers alike, introducing the kids to unforgettable scenes including the Kaibab National Forest, the Sonoran Desert, Zion Canyon, and Bryce Canyon National Park, as well as encountering amazing wildlife including elk and mule deer. 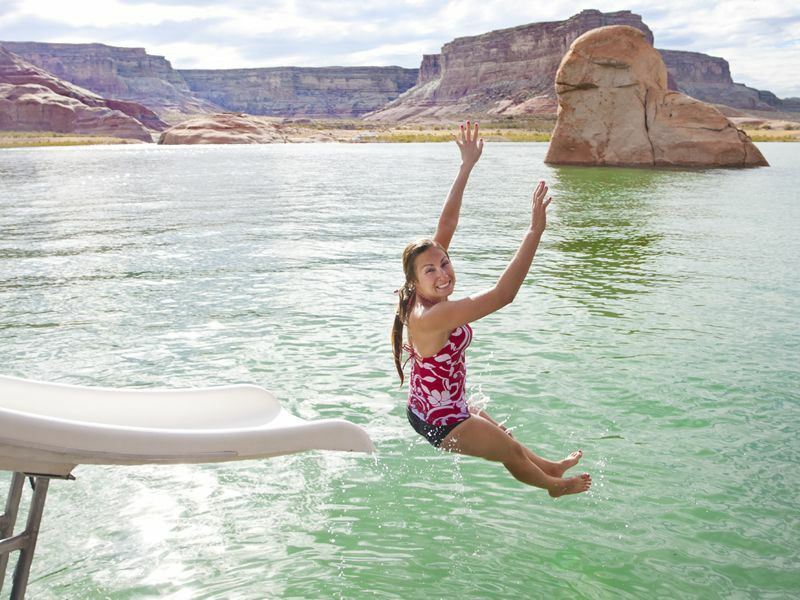 Highlights: Take a rest from exploring stunning plains at Lake Powell, a beautiful lake brimming with fun activities, including a float ride down Colorado River, a cruise to Antelope Canyon, or a myriad of water sports on the lake itself. 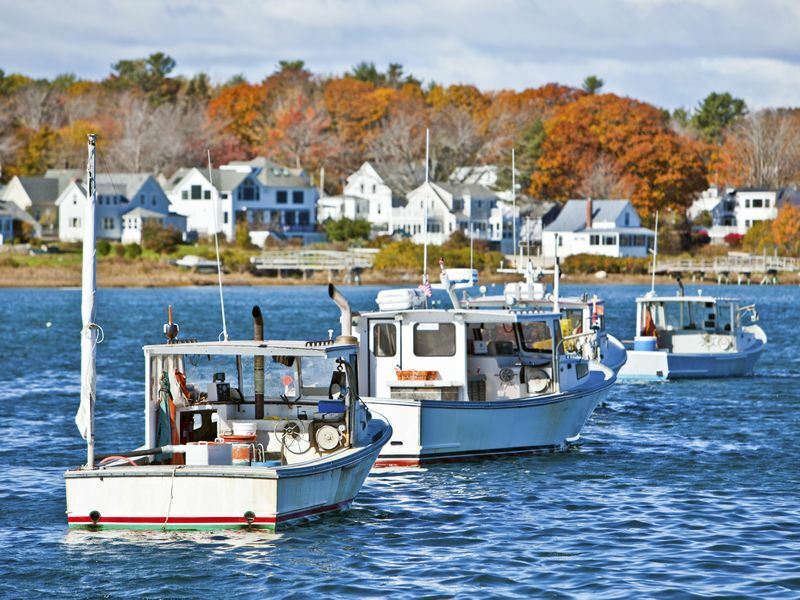 Where: A New England summer is full of stunning scenery, rich culture, and quaint coastal towns. Starting in Boston and stopping by Maine and New Hampshire, you’ll experience half of New England’s enviable summertime charm. What: Though New England is perhaps best known for its autumnal foliage, we find summertime here to be perfect for a quintessential family getaway. Stop by cultural Boston for a whale watching excursion or a historical Boston Duck Tour, before moving on to the White Mountains for incredible outdoor recreation - including rock climbing and swimming in natural pools beneath the Arethusa Falls. You’ll stop by Portsmouth too, one of America’s oldest cities with a smattering of great waterfront restaurants and shops. Highlights: Think of memorable family holidays, and you may conjure up the image of a classic summer camp. If that’s the case, your little ones will love the three nights at Maine’s Sebasco Harbor Resort. The retreat’s excellent summer camp gets kids enjoying marine wildlife demonstrations and hikes, whilst mum and dad can spend time kayaking, playing a round of golf, or indulging at the spa. 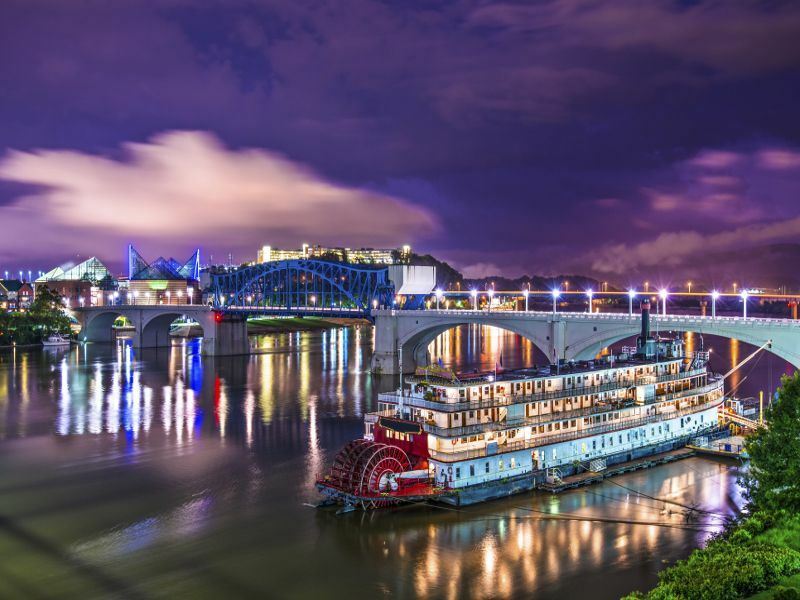 Where: Drive into the Deep South of America and soak up the good vibrations all the way from Chattanooga to Charleston with a little bit of help from Nashville and Memphis en-route. What: This is a cracking two week self drive tour that's designed to give families a real taste of southern America with overnight stays in some of the region's most characterful and best loved cities, including Mardi Gras central: New Orleans. Highlights: If mum and dad are fans of country music then the Grand Ole Opry in Nashville is sure to get the thumbs in the braces although a cheeky trip to Graceland in Memphis might be met with equal appreciation. Kids are going to lap up the seaside vibes in Pensacola with beaches and shipwrecks showcasing just what it's like to be a pirate in northwest Florida. While the laid back pace of life over in Charleston is just about right for everyone with massive plantations and gardens offering perfect picnic spots and a chance to kick back and take stock prior to heading back to the bright lights of Atlanta. Where: Stay within Disney's Animal Kingdom and you'll find three different All-star resort areas all within just 30 minutes' drive of Orlando International Airport. What: Choose to stay in one of three themed resort areas: All-Star Sports, All-star Movies or All-star Music and make the most of the rides, attractions and all-star action associated with the wonderful world of Walt Disney. Swimming pools, food courts (including in-room pizzas), kids' playgrounds, games arcades and outdoor sports facilities all add to the allure of extended theme park hours, unlimited shuttle transportation and, wait for it dad, free parking. Highlights: Staying close to the Magic Kingdom gives you an array of awesome options as well as accommodation to keep you and your family happy and excited from morning till night. Main Street USA, Adventureland, Fantasyland and Tomorrowland all lie in store within the Magic Kingdom featuring a whole load of rides, characters and attractions to ensure you never want to leave. Head out of the Magic Kingdom and you'll discover Future World and the World Showcase at Epcot, all your family favourite characters at Hollywood Studios and a whole lot more besides at Animal Kingdom, Blizzard Beach and Typhoon Lagoon. Basically, if you're looking for non-stop fun for all the family, check into Walt Disney World Resort and let Mickey and Co take over. 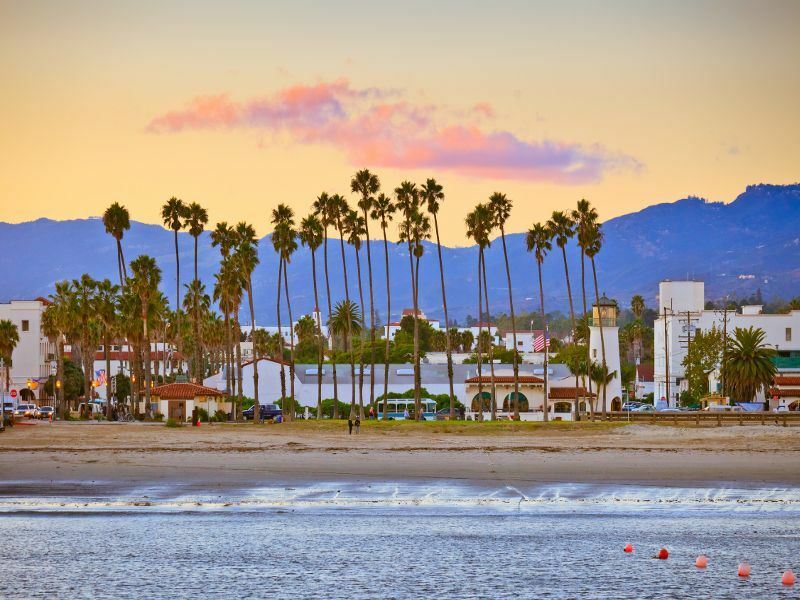 Where: Beginning in San Francisco, take to California’s wide-open roads and explore the iconic west coast, stopping by incredible beach resorts including Monterey and Mandalay Beach, before ending in Anaheim for two days of family-fun. What: A road trip along America’s west coast is exciting in itself, but the added extra of Disneyland at the end of the journey tips it over the edge for being the perfect family adventure in California. Before you reach Anaheim, drive along the classic Highway 1 through breath-taking Big Sur, soak up the sun along Monterey’s waterfront, book a wildlife cruise at Mandalay Beach, and explore Julia Pfeiffer Burns State Park with its beautiful waterfall and coastal panoramas. Highlights: California’s Disneyland resorts offer the ideal playground for the whole family to enjoy. It’s a tough choice for which parks to explore: do you discover the original Disneyland Park? Do you try out the world’s first loop-the-loop rollercoaster? Or do you bring Marvel’s comic books to life with a trip to Universal Studios? The choice is yours – and you could even add a few extra nights, if you’d like. 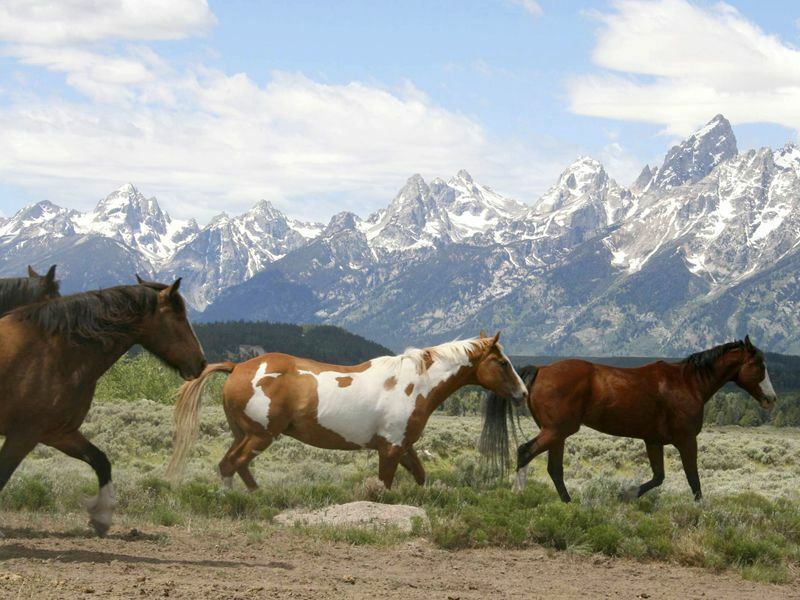 Where: You’ll be taken through three states full of natural beauty and All-American charm Utah, Wyoming and South Dakota, with a dedicated tour manager to help you experience the best of the Real America. What: Fusing quaint towns and modern cities with dramatic scenery and sensational wildlife encounters, this is a sure-fire way to get the family to see two sides of real America. This quick seven-night tour leads you to some of the USA’s most impressive National Parks, including Grand Teton National Park with its jaw-dropping mirror-effect lakes and soaring snow-capped peaks, as well as the charming ski town of Jackson and the bright lights of Salt Lake City. Don’t forget South Dakota’s Crazy Horse Memorial and Mount Rushmore – two iconic attractions every cultural family should see. Highlights: When it comes to unforgettable exploration, there’s nowhere that surpasses Yellowstone National Park. Bubbling mud pools, Mammoth Hot Springs, the classic Old Faithful geyser, unusual geothermal areas that need to be seen to be believed…this will be unlike anything your family has ever seen before. Where: Immerse yourself in the theme parks of Orlando, just an hour from the international airport before heading off to the white sands and sunshine of Florida's Clearwater, near Tampa, just an hour and a half from Orlando. 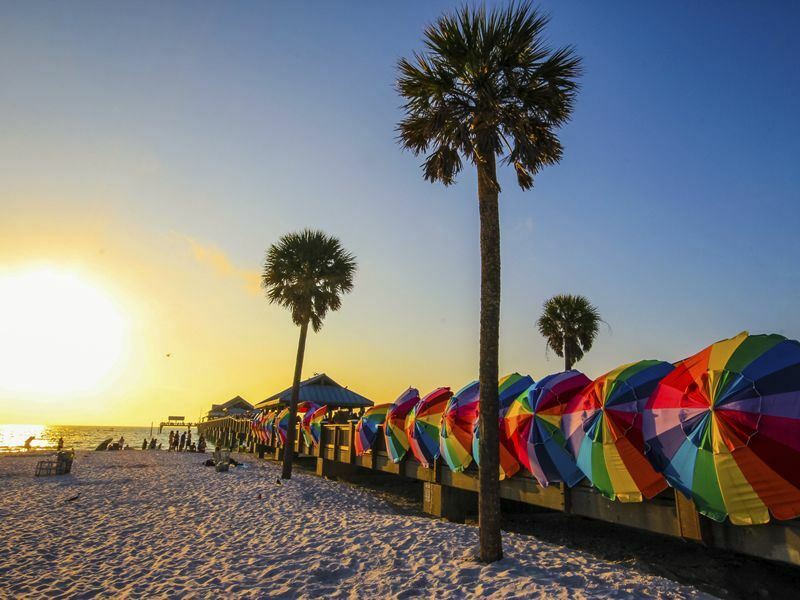 What: Clearwater Beach is one of the most picturesque stretches of coastline in Florida and boasts a great many beachside bars and seafood restaurants to compliment mile upon mile of snow white sandy beach. 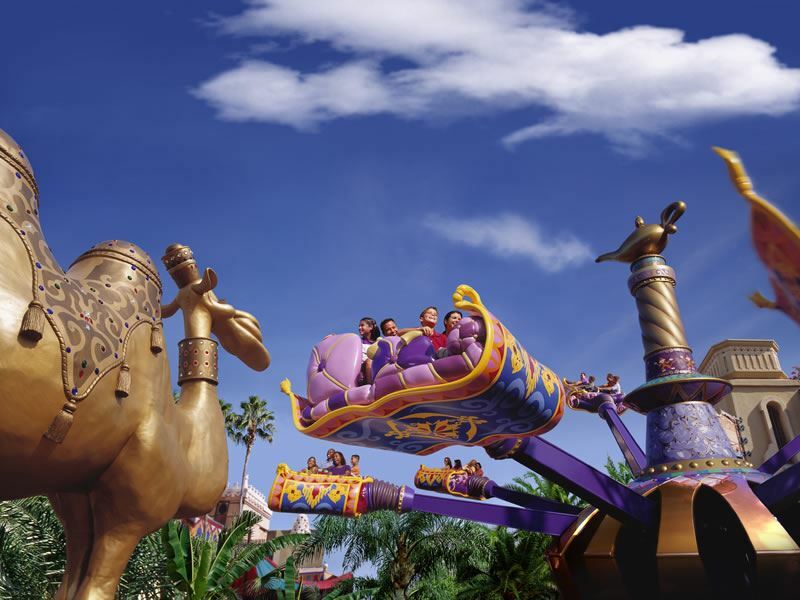 Highlights: Aside from the theme parks, which include: Walt Disney World Resort, Universal Studios, SeaWorld and Wet n' Wild, Orlando is blessed with numerous entertainment and performing arts centres as well as shopping malls, museums and sporting arenas to keep the whole family happily juiced in Orange County. Away from Orlando, you'll find golf courses pretty much all the way to Clearwater and upon arrival you'll discover some sublime sun sets alongside Busch Gardens, the Beach Walk and the world famous Pier 60 to round off a combined Orlando and Florida family tour. Where: Discover just what it's like to live under the stars in and around some of America's most impressive national parks, including: Yosemite, Bryce Canyon, Monument Valley and the one and only Grand Canyon. America's western states are just about as wild as you'll want to get with your little cowboys and cowgirls in tow but once you've set off from Vegas and onto Route 66 there's no telling where you'll end up out on the open road. What: This is as 12 night coach tour and camping adventure for families with a maximum group size of 13. Follow an experienced and knowledgeable group leader into some of the world's best loved national parks and undertake no end of activities to keep your gang happy and active all day long, including: hiking, biking and floating down stream in the stunning wilds of Yosemite National Park. Highlights: As if learning how to kayak or paddle board on Lake Powell wasn't enough, your family will also be treated to an incredible hike around the Grand Canyon's West Rim trail as well as the chance to buzz over the world's most iconic trench on a scenic helicopter ride. Follow that up with meeting and learning from a Navajo guide in Monument Valley, climbing up Angels Landing in Zion National Park, and strolling over San Fran's Golden Gate Bridge, and you've got yourself one heck of a family photo album. Where: Explore the Pacific Northwest coast and inland national parks of America on a round trip from Los Angeles via San Francisco, Yosemite and Las Vegas. 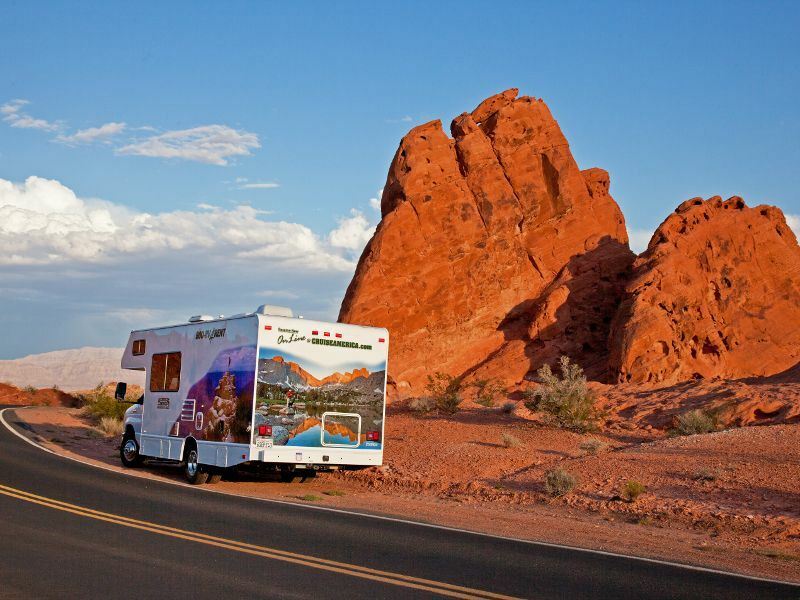 What: This is your chance to take your family out into the great wide open for a couple of weeks as you cruise through some of northwest America's natural and most iconic landmarks as well as most well-equipped and scenic RV parks. Nothing says freedom than a motor home holiday and if you want to take out the stress of finding accommodation for the night or worrying about where you're going to eat after dark then do yourself a favour and climb aboard a home on wheels. Highlights: Packing up your troubles, which may or may not include your family, couldn't be easier and no sooner than you've set off from LA you'll be bound for some of North America's most naturally beautiful and impressive destinations, including: Sequoia National Park, Bryce Canyon, Lake Powell and the awesome might of the Grand Canyon. From sunrise to sunset you'll be able to make the most of the great outdoors with scenic stop-overs in the Fresno area always providing highlights that you'd never have thought to mark on the itinerary.